If you’re looking for great deals on high-quality horse tack and horse supplies, you’ve come to the right place. 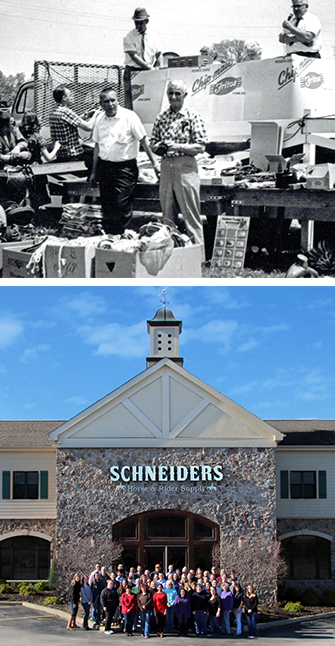 Schneiders was founded in 1948 by Milton Schneider, and since then, we’ve made the complete satisfaction of our loyal shoppers our number-one priority. While the world of horse tack and horse care has changed a great deal since our founding, one thing remains the same: Schneiders still carries tried-and-true brands, high-quality products and essentials for keeping your horse healthy, with some of the best customer service in the industry. Whether you’re a beginner rider or a serious, longtime competitor, we offer tack for every skill level. You’ll find English and Western saddles, bridles, bits and girths from top brands like Billy Royal, Pinnacle and Joseph Sterling. Schneiders also carries breed-specific tack and specialized tack for dressage, trail riding and other disciplines. In addition to tack, Schneiders offers horse boots and wraps for injuries and ailments, including innovative ceramic therapy wraps. You’ll also find horse blankets, fly sheets, tail bags and other horse care products, too. Keep your tack room stocked with essential items like halters, lead ropes, feed buckets and clippers, and even keep your horse occupied with Schneiders’ selection of horse toys and salt licks. For the rider, Schneiders carries a wide selection of English and Western show and training apparel and boots. You’ll find English breeches, Western show shirts, jeans, hunt coats and ratcatchers. To round out your outfit, check out the great selection of safety helmets for any discipline and Western hats for every occasion.